I’ve always been intimidated by bronzing products as someone who has been pale her entire life. Bronzer has always seemed too dark or too orange, and I’ve steered clear of it … until this summer. I’ve been experimenting with different bronzing products, and I’ve discovered that the key to successful application is all in how you apply it. Above are some of my favorite products that make me look (relatively) sun-kissed and seem to work seamlessly with my tan-less skin. 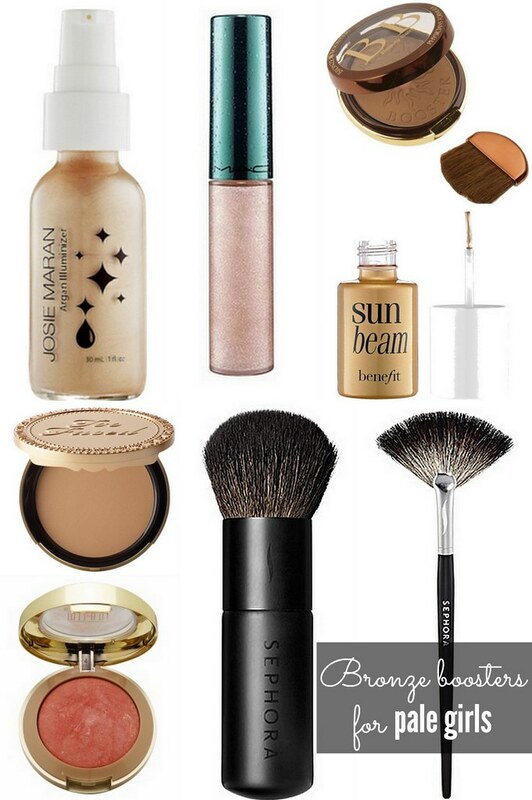 I’d love to know: What are some of your favorite bronze boosters?